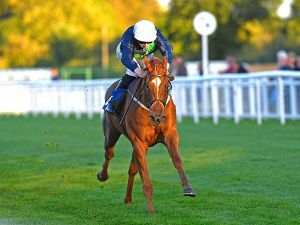 The Clive Cox-trained SWIFT AND SURE became the 121st winner of a £25,000 Tattersalls October Book 1 Bonus when winning the EBF Fillies' Novice Stakes at Salisbury. The daughter of EXCEED AND EXCEL earned his connections £37,287 for her victory when the £7,500 Plus 10 Bonus and prize money of £4,787 are added to the £25,000 Book 1 Bonus. SWIFT AND SURE was purchased at Book 1 of the Tattersalls October Yearling Sale for 70,000 Guineas by Boyce Bloodstock from the consignment of Jamie Railton. The £25,000 October Book 1 Bonus is only for graduates of Book 1 of the Tattersalls October Yearling Sale. This year’s sale takes place from October 9 - 11.